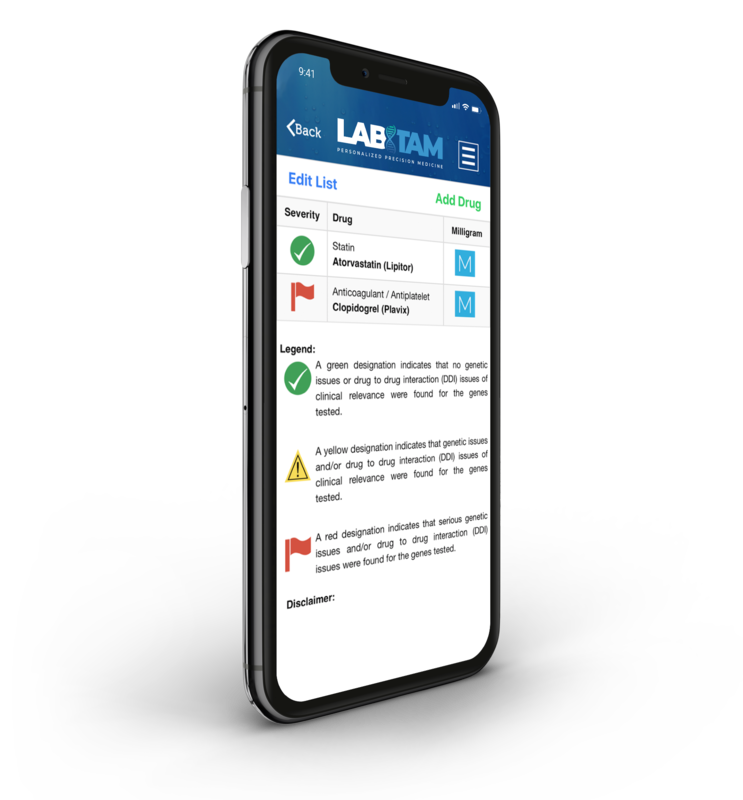 LABTAM is leading the way in the field of pharmacogenetics to reduce the number of drug interactions with patients every year. Learn how we're changing the lives of patients every day through a simple but powerful test. You’re just three steps away from taking control of your medication. Request and take our easy-to-use swab kit. It takes just 60 seconds. Then send it right back to us. Receive and review the results of your test. We’ll process your results within one week and share them with you. Access the patient portal and manage your medications. Personalized precision medicine in the palm of your hand. Ready to take control of your medication? Start the journey towards personalized precision medicine today.